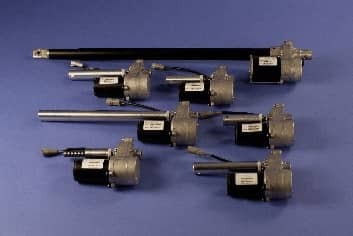 12v Linear Actuator- Long Stroke Electric Linear Actuators - Venture Mfg Co.
Venture Mfg. Co. has always been a trusted name in the industry for the manufacture of superior quality, highly durable linear actuators. We specialize in the ingenious 12v electric linear actuators that are useful in a wide range of applications. You can obtain these actuators in a variety of stroke lengths and speeds as per the specifications of your applications. Our 12v actuator can serve as an excellent replacement to pneumatic as well as hydraulic actuators. 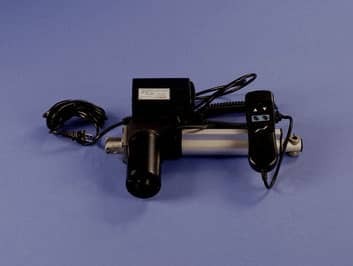 Less expensive in cost than its counterparts, the 12v linear actuator is easy for installation and efficient in operation. 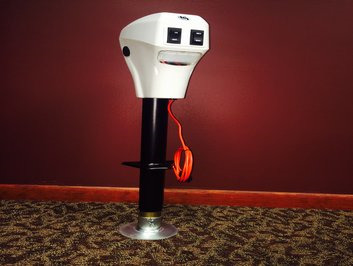 This actuator runs on electricity, thus you need not provide it consistently with costly fluid power. Known for high load bearing capacity, our 12v electric actuators can be used effortlessly in heavy-weight applications. These linear actuators are the perfect choice for quiet operations devoid of any hindrances or glitches. In this industry, there are various heavy weight equipment that need motion control along a straight line for efficient movement. Linear actuator 12v are used in cranes, motors, and vehicles that operate at the construction site. 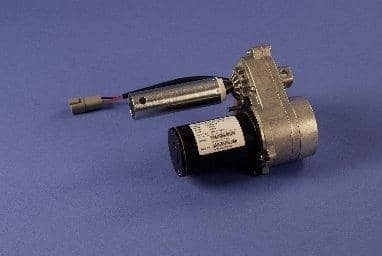 Nowadays, the technologically advanced automobiles and recreational vehicles consist of various 12v linear actuators that are controlled by a central main unit. 12v actuators are used for movement of room slides, to lifts, hatches and lifts. Various processes in the food and beverage industry are automated (such as food separation, packaging, bottling, etc.). 12v linear actuators play an important role in facilitating the automated motions. 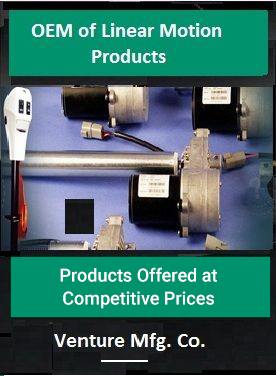 Why to Choose 12v Linear Actuator by Venture Mfg. Co.? Venture Mfg. Co. has credibility in the market for manufacturing superior quality linear actuators. You can be assured of precision and durability. We offer 12v DC linear actuators at highly competitive prices.